The Bakeey 116 Plus 1.3′ Custom Dial Smart Watch Bakeey 116 Smart Watch comes in rectangular shape and is skin friendly with soft TPU Band and steel pin buckle which ensures comfortable wearing experience. The whole device is IP67-rated, which protects it from water splashes and dust. With this, it’s automatically safe from sweat and possible wearing it in the shower. It has a small touch sensitive button at the bottom of the display which enables you to move between the various stats the smartwatch is tracking. One feature that makes it stand out is the large 1.3 inch IPS high-resolution colored display, which shows you high-resolution images. The Bakeey 116 Plus 1.3′ Custom Dial Smart Watch helps to real-time monitor your heart rate which tells you your heartbeat condition at any time. During aerobic exercise, your heart rate can be checked to examine if it’s beating normally or not. It is of importance to note that, it’s better to lose weight and improve cardiorespiratory capacity than otherwise. This Bakeey 116 Plus 1.3′ Custom Dial Smart Watch enables you to adjust the motion state of the heart scientifically and consume fat efficiently. This device manages your motion every moment and takes good care of you all day long. One of the main purposes of a fitness smartwatch is to track various stats. 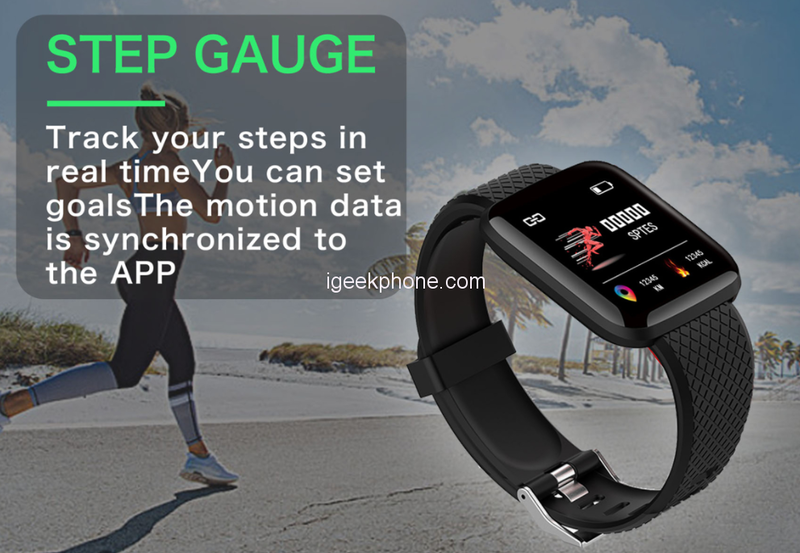 The Bakeey 116 Plus 1.3′ Custom Dial Smart Watch is a very good tracker which places it on par with other fitness trackers. This smartwatch permits one to get sports steps, distance covered, and calories data at any time, Thus, you can encourage yourself to engage in more exercise. 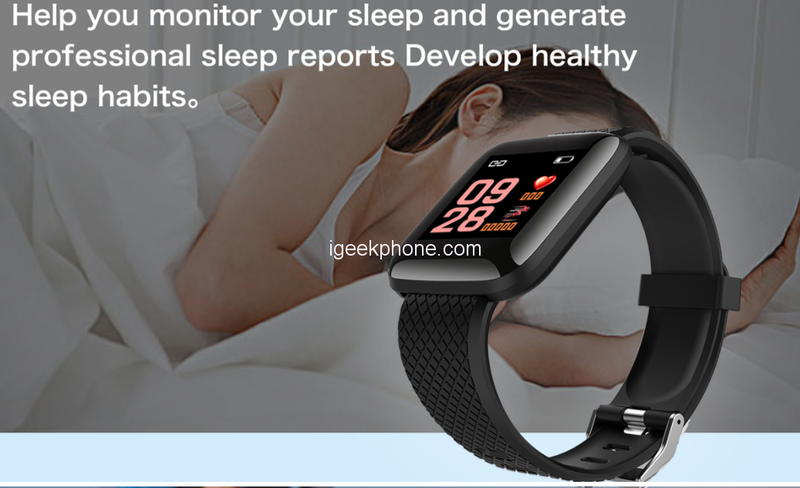 It can also be used in the analysis sleep and it provides health advice like when you need to sleep, rest, exercise, get up and so on. The smartwatch also informs you when there is an incoming call and even in a noisy environment, you will still be alerted. If connected to your Phone, you can control Music from your Bakeey 116 Plus 1.3′ Custom Dial Smart Watch and you can also take selfies using a touch on the screen of your tracker. 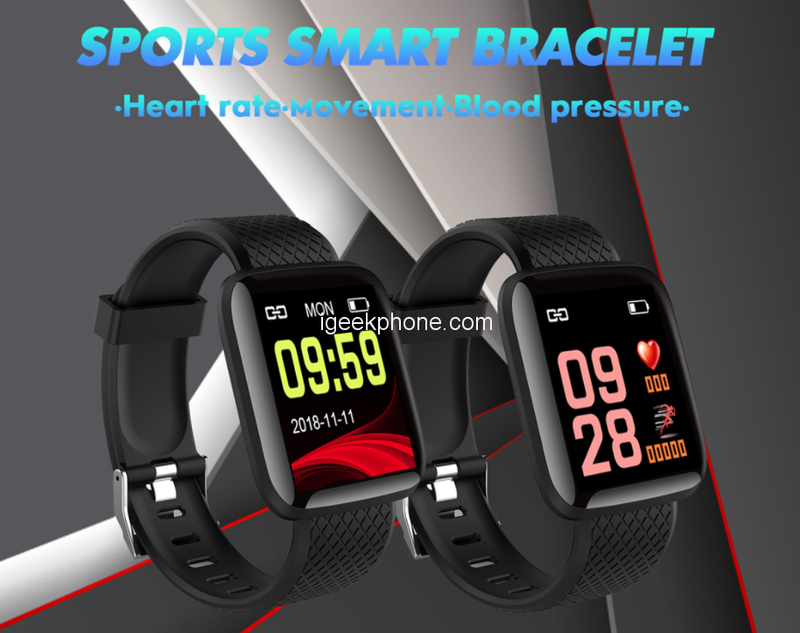 You can download the Wearfit app for this Sports Smart Watch from Play store or Apple store free of cost. The device support Android and iOS. Under the hood is a 180mAh with Standby Time: About 25 days and Working Time: About 7 days. The Bakeey 116 Plus 1.3′ Custom Dial Smart Watch is currently available on Banggood for $9.99 and its limited to 50 pieces alone.